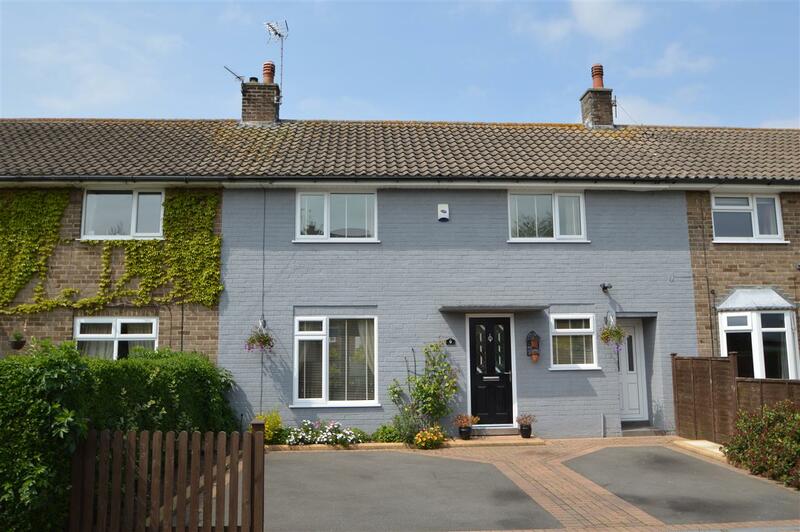 Benjamins are pleased to offer for sale this three bedroom mid terrace property, in the much sought after village location of Keyworth. The accommodation briefly comprises of entrance hall, living room and extended kitchen to the ground floor; whilst to the first floor there are three double bedrooms and a family bathroom, complete with separate shower. The property also benefits from a large driveway, double glazing, gas central heating, and a private rear garden. Double glazed wooden upvc window facing the rear overlooking the back garden. Radiator, Tiled flooring, downlights. Roll top work surface, wall, base units, stainless steel sink with drainer, double oven, gas hob, overhead extractor. Double glazed UPVC window facing the front, French Doors opening to rear garden. Radiator, feature gas fireplace, carpeted flooring. Double glazed UPVC window with frosted glass facing the rear. Radiator, tiled flooring, tiled walls. Low flush WC, panelled bath with mixer tap, pedestal sink with mixer tap, separate enclosed shower unit. Double bedroom with double glazed upvc window facing the front aspect. Carpet, fitted wardrobes.